Thanks to the Chinese ministry of culture’s law from earlier this year, games which feature a loot box system must publish the likelihood of each of their potential drops, er, dropping. 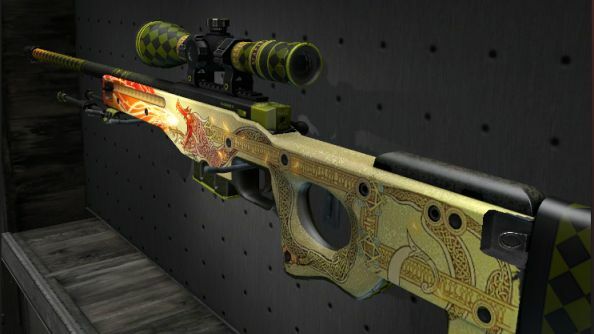 Now that CS:GO has finally had an official Chinese launch, Valve’s local partners Perfect World have released those odds. Here’s what’s in CS:GO’s latest patch. Here’s the announcement on CS:GO’s Chinese website, which (apparently) also links to a real-time feed of in-game drops which neither you nor I will be able to read. oOMeowthOo on Redditprovided atranslation – which, surprising no-one, is a lot easier to read than Google’s – but it’s still not very clear, probably because Perfect World have presented the odds in terms that relate each rarity tier to the last. That is: this is how rare a yellow drop is compared to a red, compared to a pink, compared to a purple, compared to a blue, and so on. Perfect World also say that any grade of item has a 10% chance of dropping its Stat-trak variant. So that’s a 0.026% chance of scoring a yellow stat-track item. Sweet.